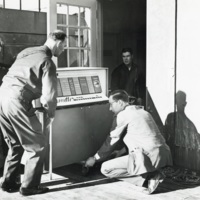 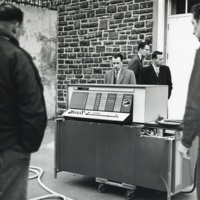 Dalhousie's first computer was installed in 1962. 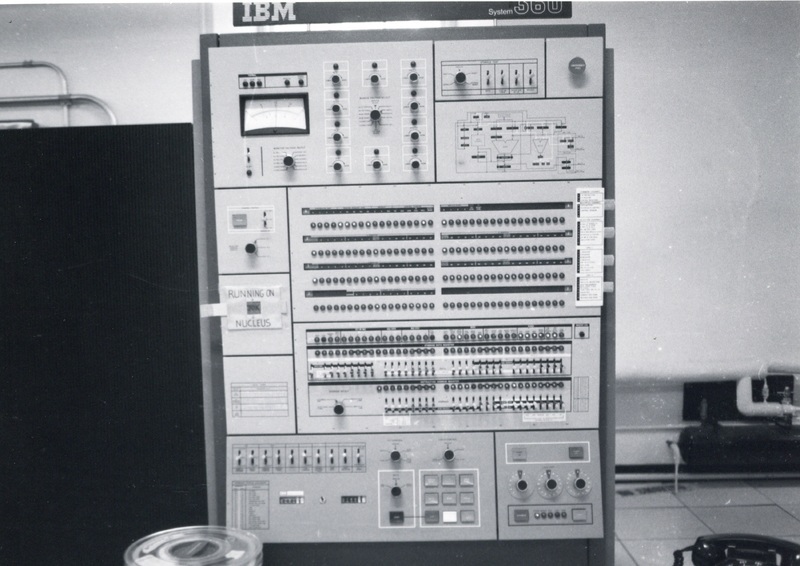 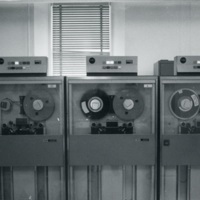 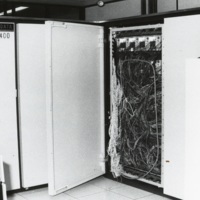 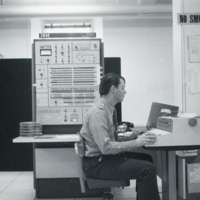 In 1964, applied mathematics professor Alex MacDonald used money from the National Research Council to purchase the IBM 1620, a much larger computer. 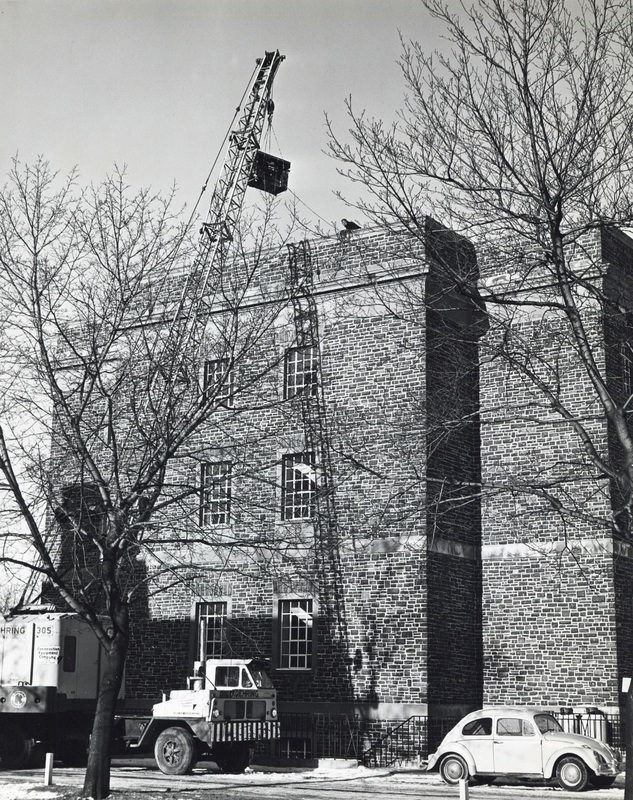 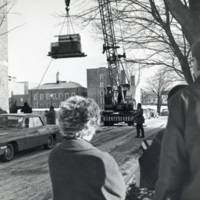 The new computer was so bulky that it had to be lifted into the Sir James Dunn Science Building with a crane. 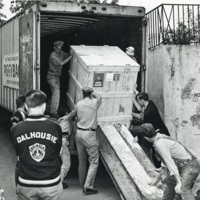 The Dalhousie Computer Centre was established in 1966 but the new IBM 360/50 was not ready for use until 1968. 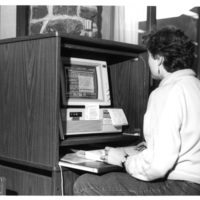 The computer was located in what is now the University Club pub and staff offices were located in houses on South Street. 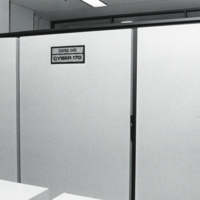 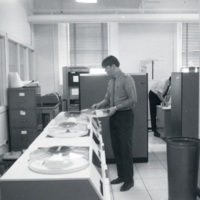 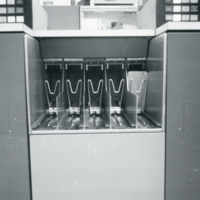 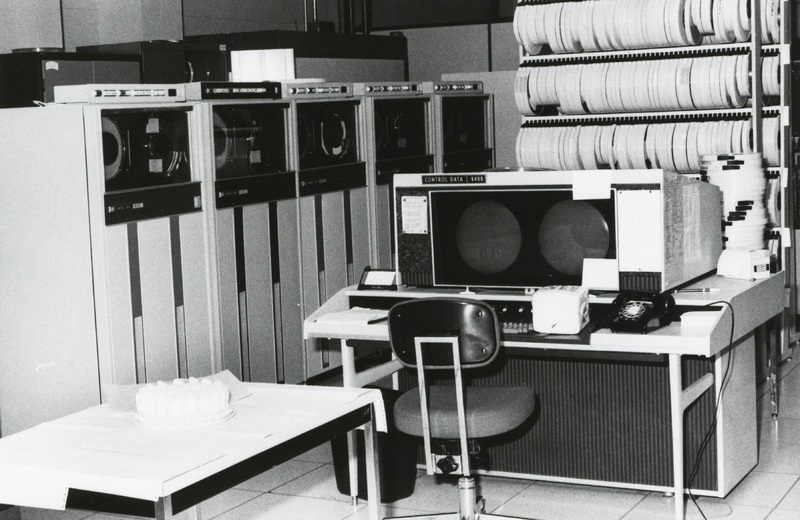 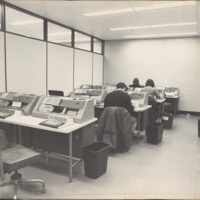 In 1971, the Computer Centre moved into the basement of the Killam Library and the IBM 360/50 was replaced by the Control Data CDC 6400, which was then replaced by the Control Data Cyber 170/720 in 1979. 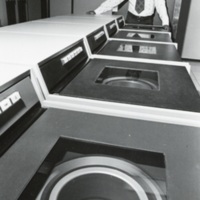 Around 1985, the computer centre was expanded to accomodate a second computer, the IBM 4381. 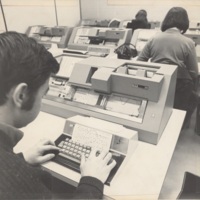 One computer was for academic use and the other for administrative use. 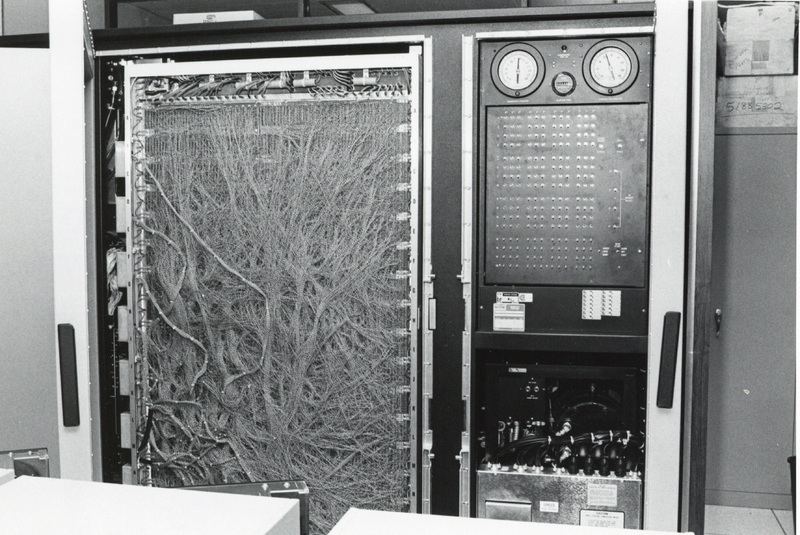 From 1997 onwards, Dalhousie's computer use expanded to several servers as computers became more advanced and widely used. 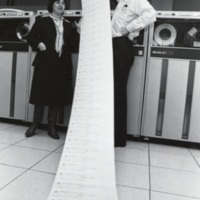 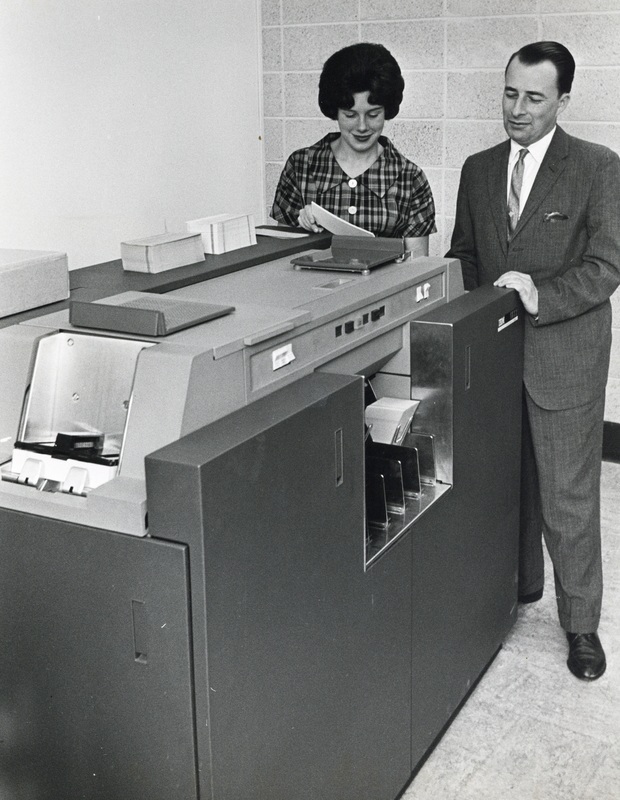 Judy Hunter (shown with an unidentified man) worked as Dalhousie's computer programmer. 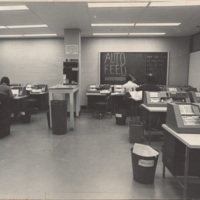 She worked with the IBM 1620 in the Sir James Dunn Building.